This photograph of Stillman Cook probably comes from the 1930's. According to family stories, he and several of his brothers played on a lacrosse team in Rochester. 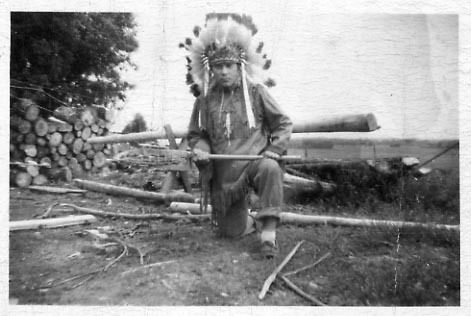 He is shown here with a lacrosse stick in a native costume - the setting might be at St. Regis (Akwasasne).